Date 01.10.2014 Australia’s Assistant Immigration Minister, Michaelia Cash, has launched a national campaign to investigate allegations of unauthorised payments to visa sponsors in return for visas. The minister said that although the overwhelming majority of employers do the right thing, there is a small minority who don’t abide by their obligations or attempt to defraud visa applicants. ‘Visa fraud is not acceptable and anyone who engages in this type of behaviour will face serious penalties,’ Minister Cash said. 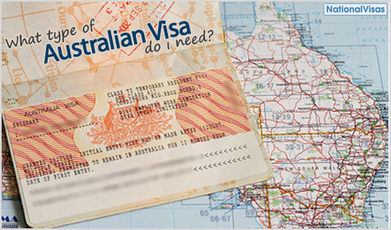 A public education component of the campaign – ‘Work visa scams. Don’t pay the price’ – will attempt to further educate visa sponsors about their obligations and remind visa holders of their rights and responsibilities. ‘All allegations of inappropriate behaviour by a visa holders or sponsors are taken seriously – if a sponsor is found to have failed their sponsorship obligations, the department takes appropriate action,’ Minister Cash said. A business that sponsors a visa holder under false pretences may also be committing other offences, such as providing false or misleading information or engaging in misleading or deceptive conduct. It’s also worth noting that visa holders who enter into contrived employment relationships for migration purposes may also be guilty of fraud related offences and/or not meet immigration requirements, including the genuineness criterion.